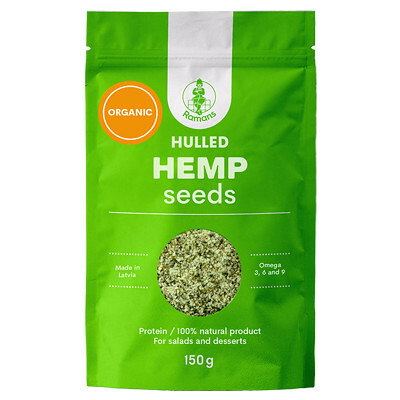 Hemp seeds are considered a superfood. 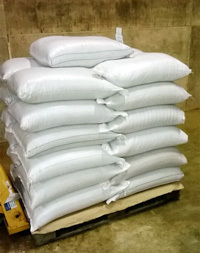 Made in Latvia, cleaned to 99,5%, moisture 8-9%. 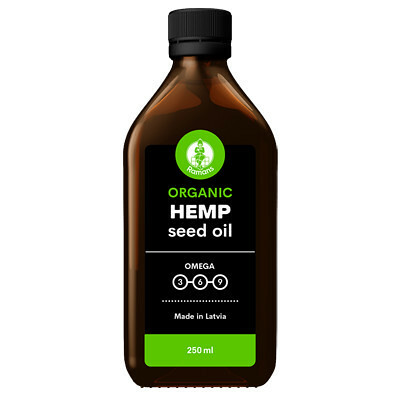 Hemp Seed Oil is a well-balanced and valuable source of Omega-3, 6, 9 fatty acids. Packaging: 250, 530 ml glass bottle. Great product for everyday consumption. Source of Protein, Fiber, Omega-3, 6, 9 fatty acids. All in one! Packaging: 500g (plastic ziplock bag). 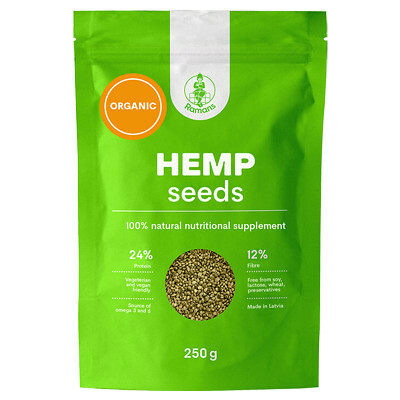 Hemp seeds contain 32% oil. Our bodies are not producing Omega-3, Omega-6 and Omega-9 fatty acids, we need to consume them from food sources. 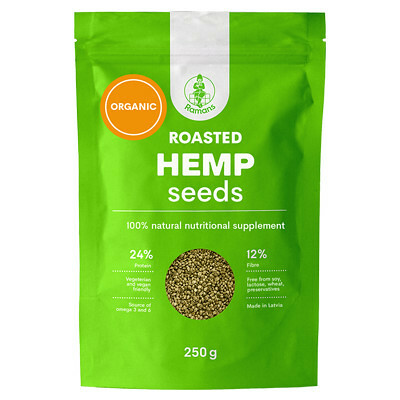 Hemp seeds contain a high percentage of valuable protein. 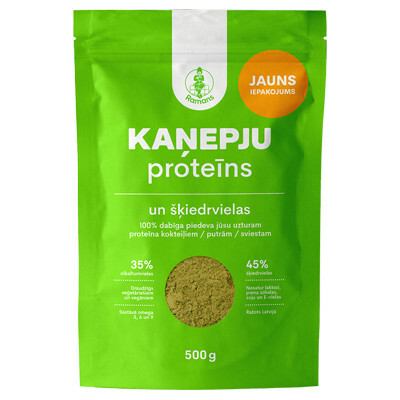 Seeds contain protein globulin which benefit correct functions of immune system. 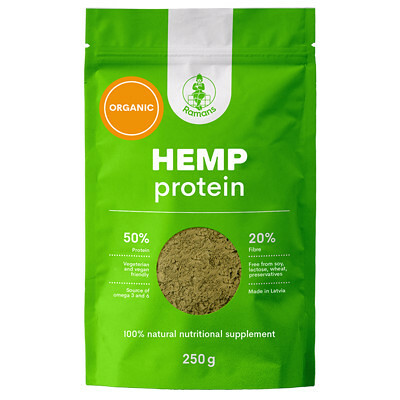 Hemp protein is a source of 20 amino acids including 9 essential amino acids. Great source of protein! Sprinkle over your salad or desserts to add extra nutritional value and great nutty flavour. Add some crunch to your favorite dishes!